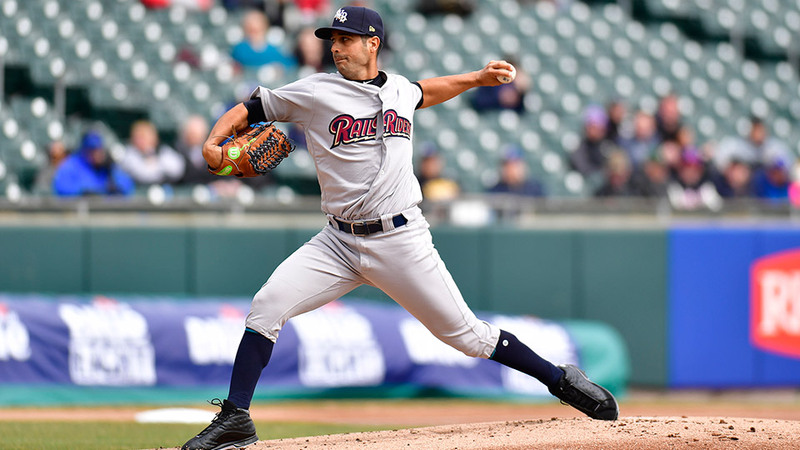 ALLENTOWN, PA (April 9, 2019)- The Gio Gonzalez that baseball fans have come to know over the last decade was on full display Tuesday night, stifling the Lehigh Valley IronPigs over 6.0 shutout innings as the Scranton/Wilkes-Barre RailRiders won 5-1. Gonzalez allowed eight runs over 4.0 innings Opening Night, but a different southpaw showed up to pitch in front of 5,024 fans at Coca-Cola Park Tuesday. After allowing a screaming groundout to the first batter of the game, he settled in and recorded his next five outs via the strikeout. All told, it was a 10-strikeout performance from the two-time All Star as he scattered three hits and walked just one batter. The IronPigs scored their lone run of the night off the Danny Coulombe in the seventh inning, who later exited with an injury as he was escorted off the field by RailRiders' Athletic Trainer, Darren London. The final two shutout innings were spun by Raynel Espinal to slam the door on the win, setting up a rubber game Wednesday night. Offensively, the RailRiders jumped on the scoreboard early - scoring in the first inning for the fifth straight game. The first inning featured three runs, including an RBI double from Thairo Estrada (2-for-4, 2B, R, RBI, BB) who had been held hitless in his first two games of the year entering Tuesday. 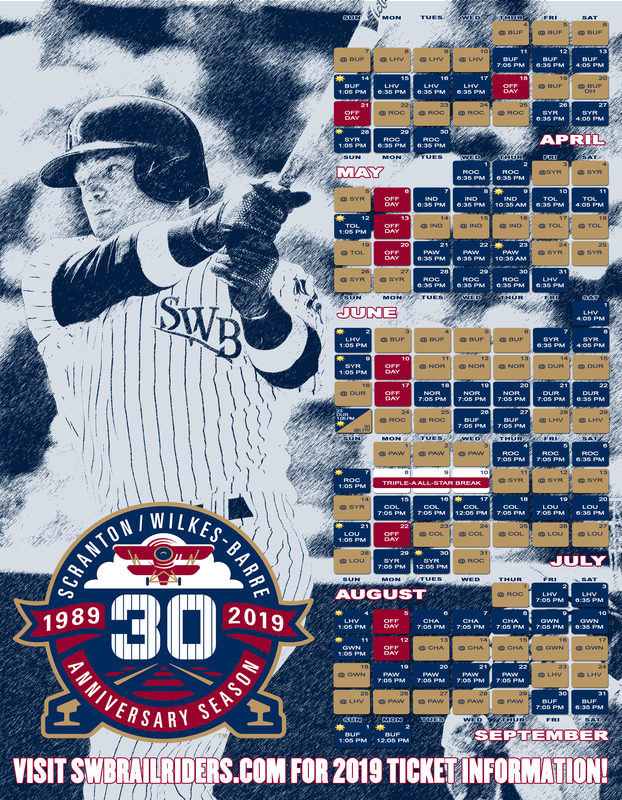 Three RailRailriders had three-hit nights, including Billy Burns who is now up to four stolen bases after stealing a pair and going 2-for-4 with a double. The RailRiders and IronPigs return to action Wednesday night at Coca-Cola Park to wrap up their three-game series. LHP Nestor Cortes (1-0, 0.00) is set to build off his first start of the season in which he tossed 5.2 scoreless innings and struck out nine batters against the Buffalo Bisons Friday night. He will be opposed by LHP Cole Irvin (0-0, 3.60), the No. 16 prospect in the Philadelphia Phillies organization who was one of the strongest left-handed pitchers in the International League a season ago. First pitch is set for 7:05 p.m. with pregame coverage at 6:35 p.m. on the RailRiders Radio Network with Adam Marco and Adam Giardino.